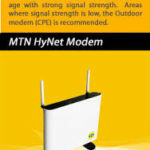 MTN Nigeria is one of Nigeria’s leading Telecommunications Network in Nigeria. 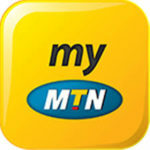 In this Review we would be looking at different Data Plans For Android Phones On the MTN Network. 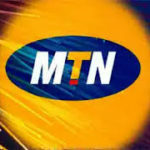 MTN has the 2nd largest internet subscribers in Nigeria, after GLO according to the NCC. Although, they might have be 2nd in terms of internet subscribers, but without have the largest network coverage in Nigeria, network included. MTN Nigeria has the most balanced kind of internet services, in terms of price and speed. 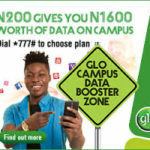 Glo might have the most affordable internet subscription, but there has been constant complaints about their internet speed, Etisalat on the other hand have proven to have the fastest internet speed, but their data bundles are quite expensive. MTN offers you a perfect balance between this two, giving their subscribers not much room for complaints. 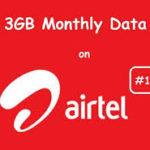 Of course, their data plans also extends to Android OS phones, which is undoubtedly the most common phone in Nigeria. 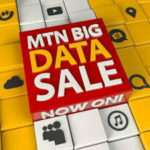 MTN has various flexible data bundles that you can use to browse, download, chat and do lot’s more on your Android. Depending on what you need. Via SMS – send 104 to 131. If you feel the 30MB wouldn’t be enough for what you plan on doing, you might want to opt put for this 100MB plan that costs just N200. Via SMS – Send 113 to 131. MTN weekly plans cost just N500 and the data volume defers depending on the package you are. The N500 for 750MB is available on all MTN tariff packages, you do not need to migrate to any special tarrif to enjoy this. Via SMS: send 103 to 131. The N500 for 1GB is only available on MTN pulse, you have to migrate to MTN Pulse to enjoy this offer. To migrate to MTN Pulse dial *406# and select migrate. Activation code: Dial *406#, you’ll be taken to a Menu where you’ll be able to purchase 1GB for N500. MTN has four different monthly data subscription packages and depending on what your internet needs for the month might be, coupled with your pocket, you might want to give one of them a try. Via SMS: send 106 to 131. Via SMS: send 110 to 131. Via SMS: send 116 to 131. Via SMS: send 117 to 131. Not satisfied with just a month? And the data volume that comes with it? Well you might to try this MTN Data plan that spans for two month and for a very reasonable price. The Quarterly plans spans for 3 months, like I said earlier, it all depends on what you want. Via SMS: send 133 to 131.